Confession: I’m a ham girl. No offense to Thanksgiving and the turkey, but I prefer ham. That’s why, even though we eat turkey with extended family on Thanksgiving, I always buy a ham and cook it at my house, too. And talk about the leftovers–YUM! We eat ham for days, people, and never get sick of it. 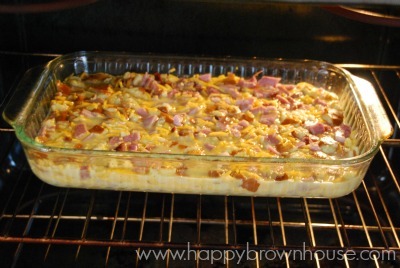 My favorite way to use leftover ham is with a Ham, Egg, and Cheese Breakfast Casserole. 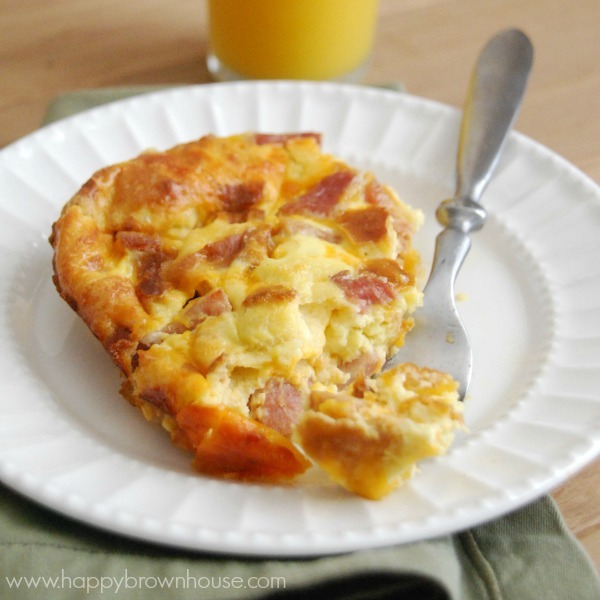 This is basically the same recipe for my Sausage Egg, and Cheese Breakfast Casserole that I make throughout the year, but when I have ham there is no other option that I love as much. Like I said, I’m a ham girl. I remember the first time I cooked a ham after getting married. I’d never cooked a ham, but was determined to try it our first Christmas together. My granny-in-law gave me a recipe with several steps of watching a timer, pouring things on the ham, and carving it. While it was juicy and full of flavor, I was determined to find an easier way of cooking ham. That’s when I figured out the secret–spiral sliced ham with glaze packets. Now it’s the only kind of ham I will cook. 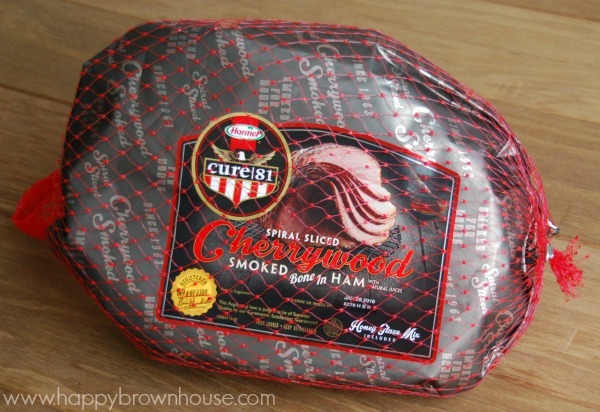 This year, while choosing our ham at Walmart, I picked up a Hormel Cure 81 bone-in ham with Cherrywood flavor. This premium ham was so full of flavor, juicy, and just fell off the bone while slicing it. It cooks up beautifully, and the honey glaze mix is perfection. The best part? It is SO easy! 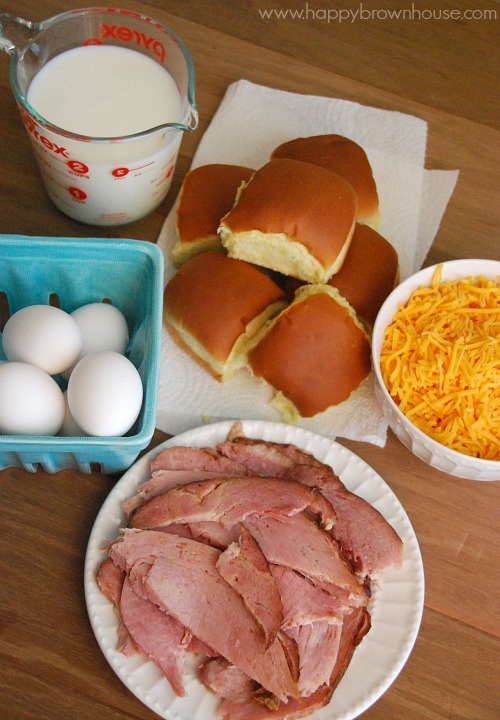 But here’s the thing about baking a ham for a family of four…you always have leftovers. Leftover ham isn’t really a problem because we love ham so much, but there are only so many ham sandwiches a girl can make. That’s why I love to find other recipes to use leftover ham. Our favorite? 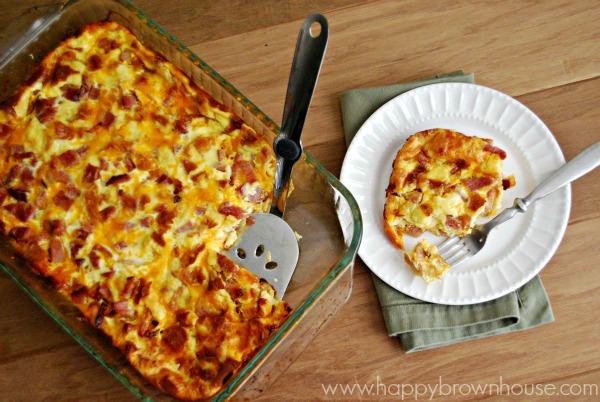 Ham, Egg, and Cheese Breakfast Casserole. It’s downright heavenly. This easy, make-ahead casserole is perfect for a Christmas brunch, Easter brunch, or any day of the year! Print out the recipe from the bottom of this post and add it to your favorites…because it WILL become a favorite. You’ll need to chop the ham into cubes. I realized I didn’t really measure here, but I’m guessing I put about 2 cups of ham in this casserole before it was all said and done. The more ham, the merrier. What can I say? I LOVE HAM! Next, you’ll crumble the bread. You can use any kind of bread for this. Normally, I use 6 bread slices, but I had quite a few leftover dinner rolls, so I used 6 of those instead. My oldest son helped pull apart the bread while I chopped the ham. 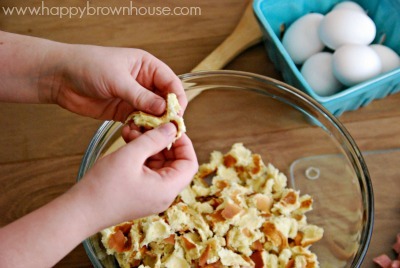 This is a great job for kids that like to help in the kitchen, and a natural way to work on those fine motor skills. Mix everything together. Spread evenly in a greased 13×9 casserole dish. 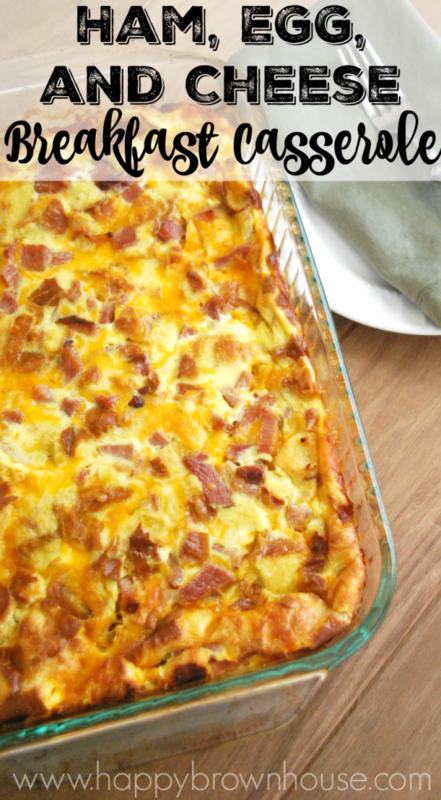 The one ingredient you might not have for this breakfast casserole is the dry ground mustard. You can find this in the spice section of the store. Pour the egg and spice mixture over the ham, cheese, and bread in the casserole dish. You could mix this all up in the bowl instead, but I usually pour it over. It’s just easier in my mind. The great thing about this casserole is that it can be assembled the night before and then just placed in the oven the next morning for breakfast. It’s a perfect way to have Christmas brunch ready without spending a lot of time in the kitchen in the morning–so you can savor the time opening presents with the family! Or, you can even assemble this casserole and place it in the freezer until you’re ready. Just pull it out the night before, thaw in the refrigerator overnight, and bake in the morning. You may need to cook it a little longer, depending on how thawed out it is when you stick it in the oven. Either way, the results are yummy. 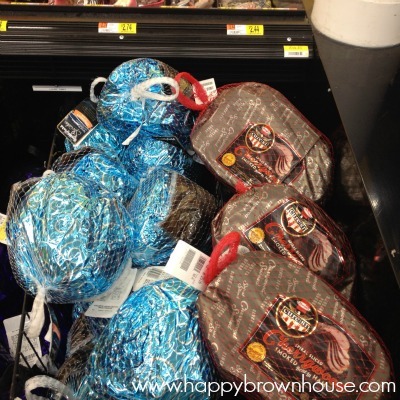 Be sure to check out more delicious ham recipes from Walmart and Hormel. 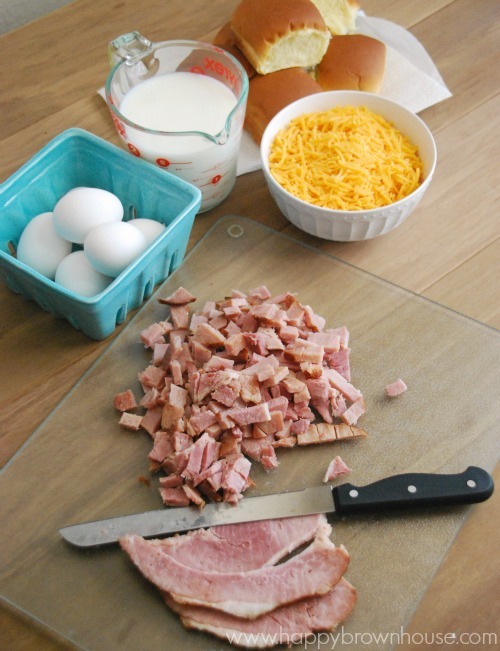 I’d love to hear about your favorite leftover ham recipe–tell me in the comments! 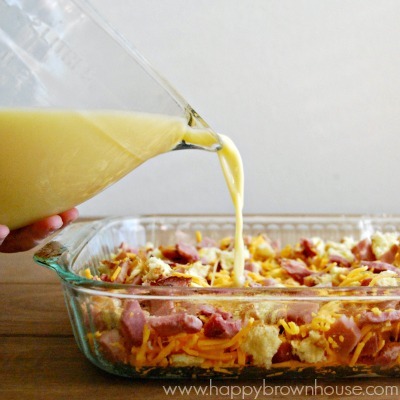 If you like this recipe be sure to check out my Sausage, Egg, and Cheese Breakfast Casserole. Want even more breakfast ideas? Here are over 28 easy Christmas morning breakfast ideas that will make your mouth water just looking at them. Now that we’ve got breakfast covered, let’s work on lunch or dinner with this easy, homemade Broccoli Cheese Soup recipe. This easy, make-ahead casserole is perfect for a Christmas brunch, Easter brunch, or any day of the year! Chop the ham into cubes. I used around 2 cups. You can add more or less depending on your desires. Crumble the bread into small pieces. 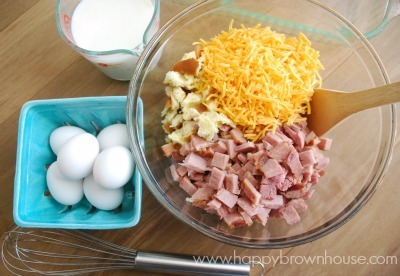 Mix the bread, cheese, and ham together. Spread evenly in a greased 13×9 casserole dish. Add the milk, salt, and ground mustard to the eggs and mix well. Pour over the ham, cheese, and bread in the casserole dish. Thank you, Kristi! Let me know if you try it. This looks great. 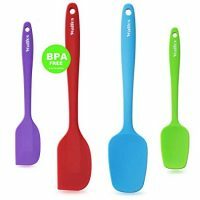 Is there a print-friendly version of the recipe? It’s probably on there and I can’t find it. Thanks! Found it. Thank you for your help! 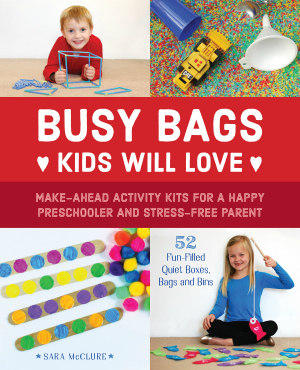 I look forward to making this! Would this work with biscuits instead of bread? I bet it would be just fine with leftover biscuits since that is still bread. Try it out and let me know! It thickens it and makes it more of a casserole. If you left the bread out (which I’ve never done), I think it would be more like an omelette maybe. How many does this feed I didn’t see in the recipe ? Would it feed 8? It would probably feed 8 depending on the portion size and if you had other things to go with it. I’d love to know how that turned out! I made this recipe this past weekend! I had leftover Sam’s dinner rolls and replaced the bread with the rolls and it was delicious. I could have ate the whole casserole. I used a ham steak for the ham as that’s what I had on hand. Worked perfect! The only change I’d make is that I wouldn’t put in the salt. The ham was salty enough. Great Recipe! I’m making this for tonight’s dinner. Can’t wait to taste it hope its as good as it looks. Thanks for the chance to make it for my family. This was really tasty! I did not have dry mustard so I used 2tsp of normal mustard. I also added 2 cubed pre boiled Korean yams (they are white on the inside). I did not have any normal bread, but I had half of a loaf of homemade artisan bread so I used that. I had to bake this for 1hr 10 minutes but it could have gone for 10 more minutes. My husband had to leave for work so since the eggs were a soft scramble texture I figured it was safe! I will definitely make this again! How much milk does this call for? I don’t see that. 2 Cups of Milk. It is listed in the ingredients. Made it this morning! It was really good! My husband loved it! Thank you! Wonderful Keila! Thanks for letting me know. 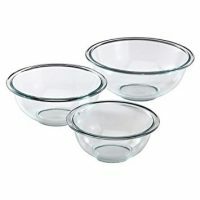 Could this dish be made ahead of time and frozen? Cheryl, I’ve never tried freezing it, but my good friend Google told me it would be ok. Just make sure to thaw it in the refrigerator overnight and then pull it out and let it come to room temperature for about 30 minutes before baking it. Good luck! Freezing this dish worked great. I work with Seniors and put on a brunch for about 55 people. I made 5 of these ahead of time. They went in the fridge the morning before the brunch. Everyone loved it! Thank you. Glad to hear freezing it worked well, Cheryl! Thanks for letting me know. I have made this for a few years now and I finally ventured out with my own version. Instead of crumpled bread pieces, I use a heavier/dense bread like Pepperidge Farm Potato or Sourdough bread. Butter one side and put the whole slice butter-side down in a 9 x 13 pan. Lately, I’ve done a quick spray with oil before putting the bread down and I have less sticking. I use thin sliced ham, like deli sliced placed over the bread, slices of American cheese on top of that. I’ve cooked a pound or so of bacon and crumbled it and sprinkled the bacon and a package of diced ham over the base. Sprinkle shredded cheddar cheese on top. In the egg mixture I also add about a teaspoon of cinnamon. Pour over everything and refrigerate overnight. I usually have to cook (at 350 degrees) for 50-60 minutes or more. The first half of baking time is with aluminum foil over the pan. If it needs to cook longer because the center is still too wet, I may put the foil back on or on the edges so the rest doesn’t get too brown. 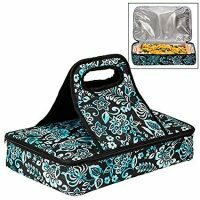 Believe me when I say there are NO leftovers when I take this to work. It is gone quick – as soon as the bacon smell starts wafting down the halls or someone walks by with a plate! I even use a bigger pan and no leftovers! Using the larger pan means getting up earlier because it needs to cook for 90 minutes or so! I just go by when the center looks cooked instead of ‘wet’. Could you use bacon or bacon and ham ? Bacon sounds yummy! What a great twist on this dish. I say go for it! Just made this and it was so easy and delicious! I used 6 rolls and it was perfect. Glad to hear it, Jackie! It’s a keeper for sure! Made this today as needed to use up leftovers. I must say the family absolutely enjoyed this and was asked how to make it. I added peppers to it as well. Will be on our menu now and enjoyed both hot and cold. Thankyou for pinning this recipe and really simple to make. Glad you and your family like it Joan! Hello do you think I can use Chicken sausage and brown bread instead of white bread? Yes, you could switch out the ham for sausage. As I said in the recipe, I make this with sausage, too. Use whatever bread you have. I used the same amount of rolls as I did bread slices. So, 6 rolls. I’ve got this in the oven as we speak and followed the recipe to a T! I can’t wait to try it! I made this dish with crumbled potato hot dog rolls. The family loved it & leftovers were just as good. Thank you for sharing this recipe. 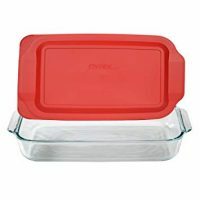 Are you sure this takes a 9×13 baking dish (not an 11×7? I used extra seasoning: 1tsp. Mrs. Dash table blend, one fourth tsp. Dry parsely and basil, the ground mustard of course…one tsp. Of Andys seasoned salt. All this gave the dish a little POP!